Have you ever had that green goop cheap restaurants pass off as guacamole? 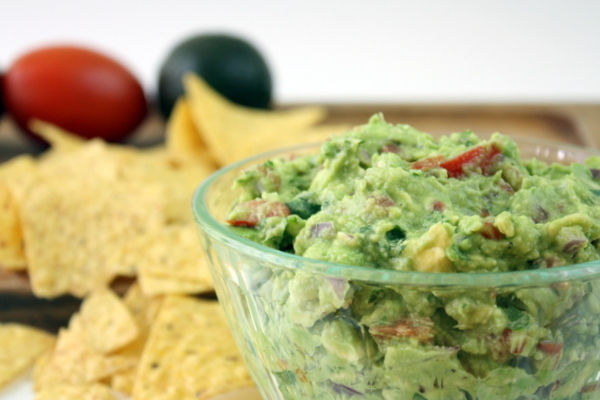 It really is a sorry excuse for a dip – especially considering that making real guacamole is not only easy, but WELL worth the effort! I made this the other day for lunch, and really had to pry myself away from the bowl before I ate the equivalent of six avocados in one sitting. Sigh. I successfully put down the chips and waited until morning before spreading a healthy serving of guacamole on my eggs and toast – highly recommended. This is ridiculously easy. Chop some garlic, onions, cilantro, and tomatoes. 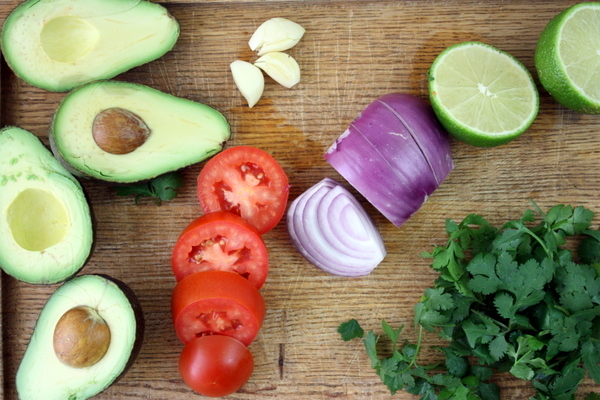 Toss it all in with a bunch of avocado, squeeze in some lime, add a dash of salt – and voila! Add some jalapeño if you like is spicy! You now have a bowl of deliciousness ready for consumption. I wish avocados were always on sale… I’d do this every day. 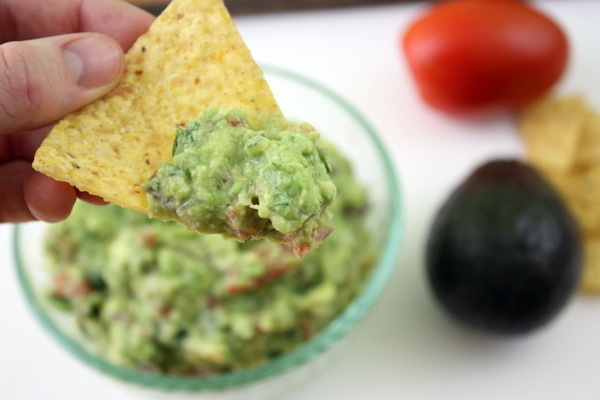 A classic guacamole recipe, this has the creamy, tangy flavors you expect with a spicy kick from the jalapeno. Scrape all the avocados into a medium bowl. Add tomatoes, onion, garlic, cilantro, and jalapeño if you choose to use it. Squeeze the juice from both limes into the bowl. Mix thoroughly, add salt and pepper to taste, and enjoy!